Performance Synchrony is our business consulting approach towards achieving sustainable competitive advantage for modern business having to change and adapt to new market conditions, digitalisation, global trends and automation. Business models and customer groups are changing faster than any other time in history and it brings new challenges to SME's but with the correct approach it can also offer new opportunities for growth, sustainability and profitability. As we evolve along this path we are discovering new understandings about people and what makes them tick and let's be honest, business is only about people. and so on. So if we start to understand about people and take on board new evidence, new strategies and new approaches, then we can achieve new results from the output, productivity and performance of our people. The quest for productivity is the holy grail of modern business but at what price? Staff cuts, wage freezes, inflation, potential interest rate rises, housing shortages, business training budget cuts, automation etc. So the 2 ends of the spectrum do not correlate. To be a finely tuned employee producing excellent output in terms of quantity and quality needs the element of safety and removal of fear. These are established triggers discovered in neuroscience and management and leadership need to factor these into their styles of approach and philosophy. So if we do not want to get what we have always got, then we need to do something different. We need to apply the latest evidence from neuroscience, performance psychology and other psychological sciences because after all we have just agreed that people interact with people to create business. In neuroscience we have established that the true origin of behaviour is brain chemistry and structure. The initial spark from genesis of thought transfers into electricity and spikes along neurons until they activate a neurotransmitter that will allow the neuron to jump the synaptic gap to reach the neuron on the other side to continue its journey. This neural pathway is ultimately behaviour through actions, strategies and psychological processing. Here at the MBA-online we consider our business consulting approach to mimic the pathway of neuroscience and to seek alignment with your customer. If all your neural pathways are firing in the same direction, they will strengthen and become more efficient making actions and behaviours much easier to accomplish. This is what performance synchrony achieves. The alignment of business, structure, systems, processes, culture, performance measurement, employee activity and leadership with your external forces in terms of customers, markets, economic, legal, political and social. To be aligned is efficient, visionary and strategic. Any form of misalignment, say the culture is still old boys network and not responsive to millennial working at the firm, creates a performance gap that must be filled and correct the detour of of the alignment plan. 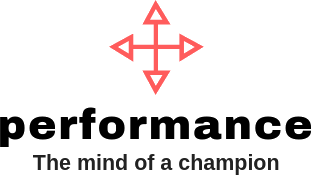 Download our presentation in the performance synchrony ebook and you will understand motivation in terms of what people seek and what they avoid and find some statistics that may encourage or motivate you to understand some of the implications of not changing. Motivation is evolutionary brain science that will never change. Humans have needs that have to be satisfied but once satisfied then self actualisation and humanitarian desires kick in over and above original hunger, shelter and safety etc. Evolutionary organisations can address these needs. It removes fear, threat, drudgery and ego to establish businesses that thrive in terms of stakeholder wealth and employee satisfaction. Employee engagement cannot be forced through with even more threats. Employees can only take so much, so new approaches in terms of leadership, culture and process is needed. Not all these are needed at any one time and can be addressed in a 2 phase approach but what is certain is that business has changed and will continue to change. Things that have been done, expected and worked in the past may not in the future. Alignment will bring health to all rather than to a few if they survive. Performance synchrony is needed for sustainable competitive advantage in the modern world. Performance Synchrony built upon performance science.